« Vote for Jenny and Aimee! 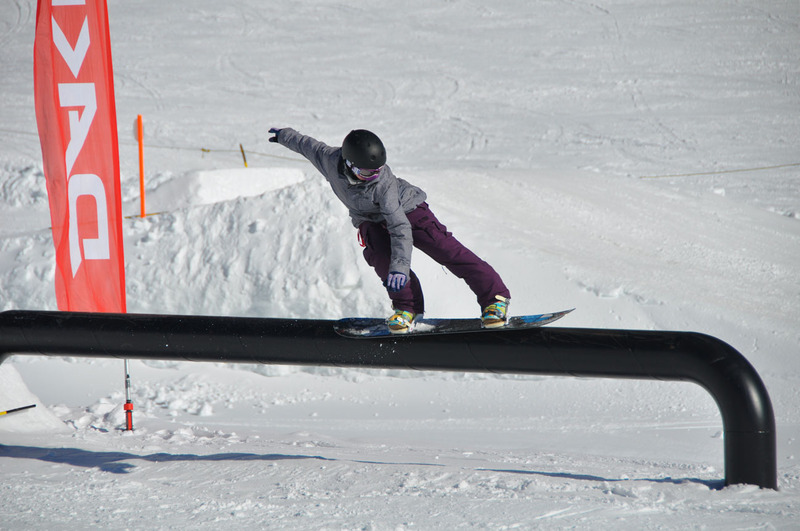 Laura and I went over to Leysin to take part in the Ladies First Challenge Tour stop there, it was the perfect day for a comp, sunshine and new snow, hot but not too hot to make things slow. The course was a bit more ‘serious’ than we’d been expecting, hehe, but was so much fun once we dared to test everything. At the start there was a wide flat bar and then a C box then on to this big pipe thing with a big ollie on, it made me a little fearful to be honest, I had no idea what it would be like to ride, especially as the jump was straight after it, no room for much error. I’m not sure how big the jump was, it was a little bit ‘whippy’ so took a bit of getting used to, after a few runs I decided spinning might actually be the better option on there anyway oh and then at the bottom there were two picnic table things to slide on. Think the next run went well, I mixed it up little bit on the rails then landed a fs3 stalefish…this qualified me first, stoked on that! Finals didn’t go so well, I was feeling a bit tired and my knee has decided it likes to swell up and stop bending very much when I ride all day so my first safety run was ok, then I slammed on the next run and then overshot on the next 360 then my last run went really well, same as in qualis. But I needed 2 good runs to do well, I only had one good run and 1 safety run so came 4th, still happy with that though. The whole day was great fun, just how a comp should feel, nice little day trip for me and Laura. 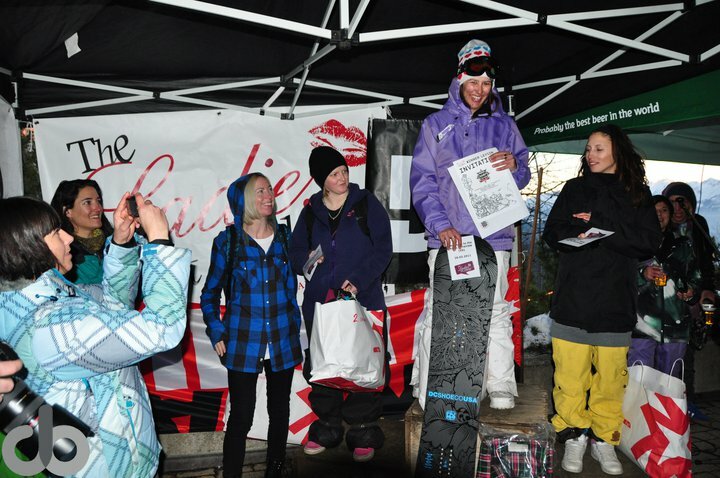 Laura came 2nd with some snazzy twizzles off the rails, some frontside sliding on them and some lovely fs360 indys.